The Greatest Marriage in the World! (___ your name ___) and (___ partners name ___) have the greatest marriage in the world! It was over a decade ago, at a rather elegant and extravagant event that I met them. They were a beautiful couple; confident, talented, wealthy, humble and inspirational! They looked so happy and so in love. Their energy congruent with their words and actions. It was hard to take your eyes off them as they interacted on and off stage. This couple had it together and I was captivated listening to them speak. They began sharing a few funny stories, past experiences and life as they experienced it now (well back then) with all it's privileges, adventure and fun. Then they began to share the path that lead them to where they were today. I listened to them both talk about their early days together. A newly married couple with young children, struggling desperately; financially and emotionally. They didn't know what to do but they knew they were sinking. Miserable and on the verge of splitting up, as it seemed like the only option and imminent. But together they made a decision, one last attempt to try and re-kindle the love they believed was still there, somewhere. They had experienced it before, it was just buried underneath a pile of anger, exhaustion, doubts and fears. I don't remember much about that event besides their one choice and a simple affirmation. * What they wanted to feel. They wrote "Loren and Sandra have the greatest marriage in the world"
I remember way back then thinking what a simple but powerful idea. Every morning they would see it, at first not believing it and resisting, but taking it in each day. They made a conscious choice and consistently focused on a powerful affirmation (a declaration that something is or will be). Our minds are amazing! and will bring into being that which we focus on, be it good or bad. If your marriage or relationship is struggling; choose to do something today, don't wait, don't worry - just do! 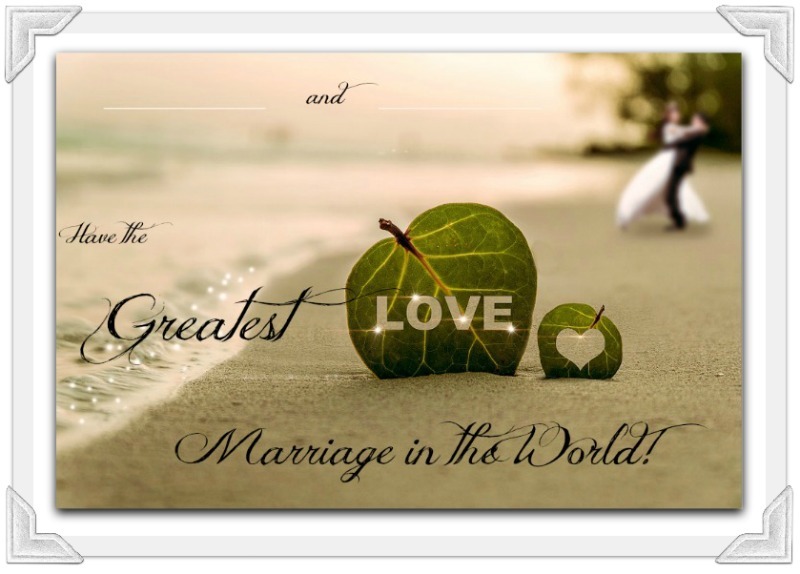 Take action and create the greatest marriage in the world, because you can! Start with printing out the image below. Fill it in - pin it up - somewhere you'll see it everyday. * Take it in, every - single - day! * Talk about it together and share why it is so important to you both! 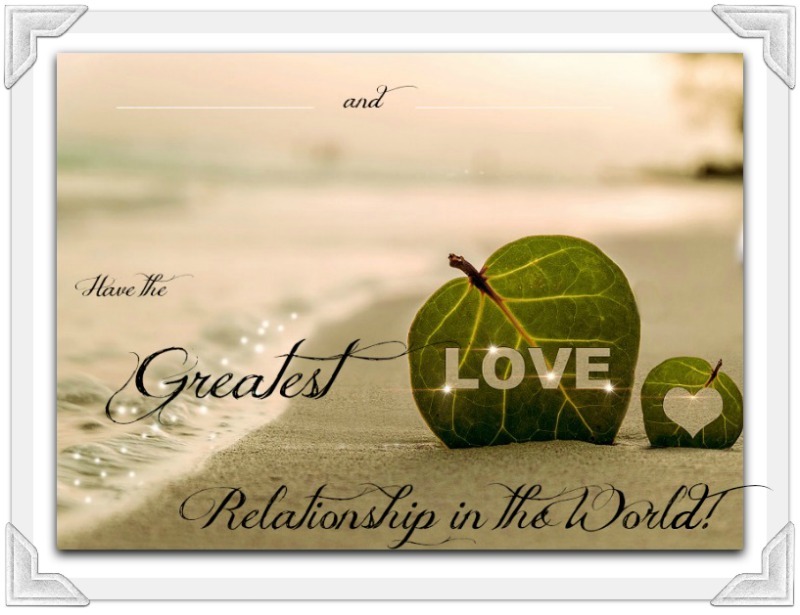 What will 'having the greatest marriage in the world' mean for your life, your future, your children. * Then start taking action every day to make it real and bring it into being. By action - I mean; Along with seeing your affirmation everyday; do something thoughtful, kind, loving for your partner. Read, grow, learn, every day to become the very best version of you. Focus on all the things you're already grateful for in your partner (no matter how small) and you'll start to see even more things to be grateful for. Be sure to tell them too! - Memorable Moments Together for inspiration. - Dr Gary Chapman's best selling book: The 5 Love Languages. Discover each others love language, so you can speak it every day. - A beautiful story by Michael D Hargrove - Don't hope, decide! 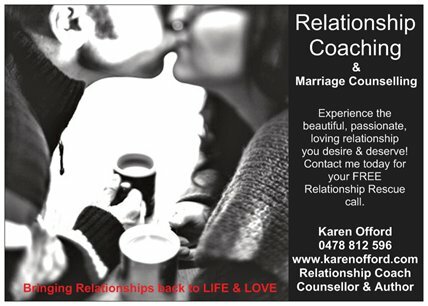 As a Relationship Coach and Marriage Counsellor I have seen some of the most amazing, beautiful relationship transformations! 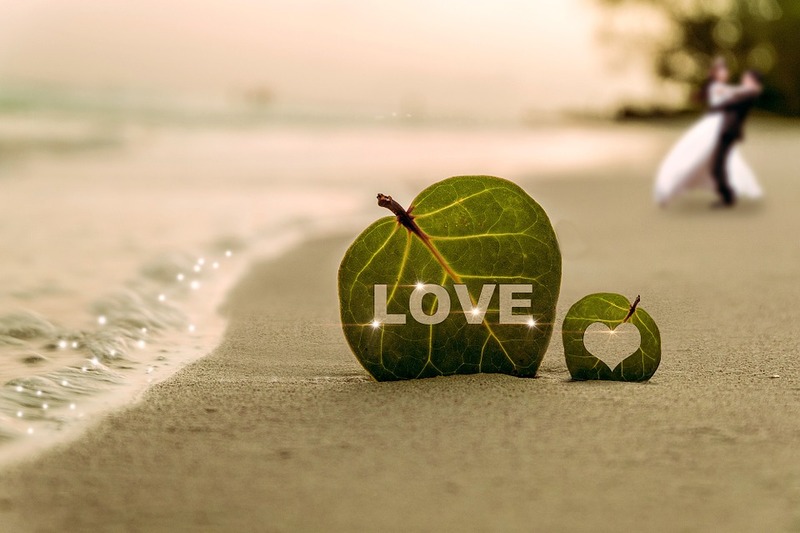 If your relationship is struggling; I welcome you to contact me today to schedule in your free Relationship Rescue call to discuss your Relationship and how to bring back the love, passion and fun you desire and deserve. This is your life, don't waste a minute of it unhappy, unfulfilled or struggling. Not married yet - all good - you can use the image below! P.S Not to end on a sad note, but I have to add; some relationships are just not meant to be! If nothings working, if it's one sided, if you've done everything you can - speak to a professional. The greatest relationship you may need to focus on is the one you have with yourself.